Ferrets are loving pets that will provide enjoyment in your lives. But these cute little mammals are well-known for their characteristic odor. 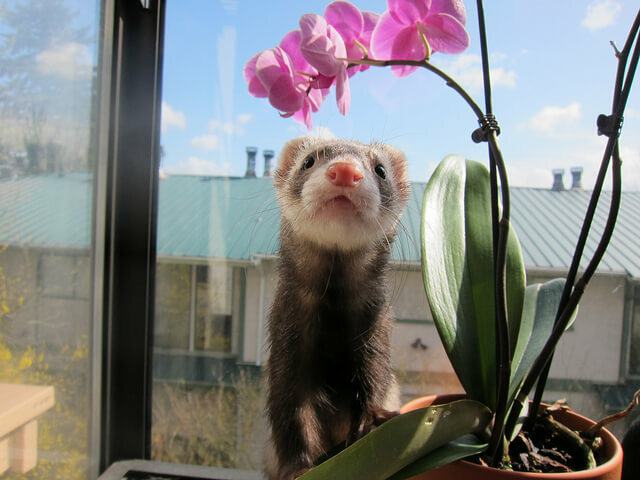 As a ferret owner, you can’t take the nostril-scrunching smell in your house. The unpleasant ferret smell will provide you with the feeling of discomfort. If you are looking for the appropriate ways regarding ferret odor control in your room, then here you will come across the same. How to Make Ferrets Not Smell? Monthly bathe your ferret with a ferret-safe shampoo. Once in a week, you can use the ear cleaning solution to clean the ears of your ferrets with the cotton swab. Use a soft toothbrush and toothpaste to brush the teeth of your adorable ferrets. Make sure your ferret should be litter box trained. Weekly launder the bedding of your ferret with unscented laundry detergent so that the fabric remains clean. The scented cleaners may cause an allergic reaction to the ferrets. Ensure you keep ferret toys clean. Both laundry additive and spot cleaner can provide amazing results to stay away from ferret smells. You can rely on bedding and fabric toy laundry additive for cleaning the bedclothes and toys of the ferrets. Not only you have to work on the cleaning of the ferrets but also keep your home clean and dust free. On furniture, rugs and other types of furnishings, the ferret can transfer their body oil while playing which in turn produce odors. The proper and regular vacuuming will pull away from the ferret smell. Regularly clean the ferret cage and litter box. 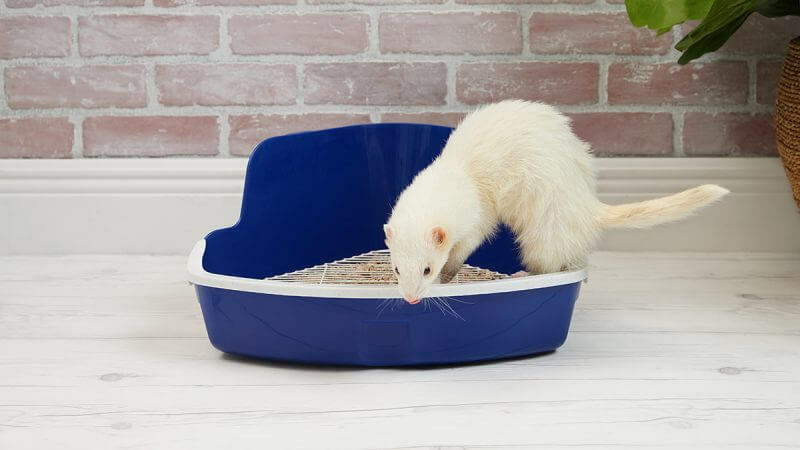 Consistently teach your ferret in what ways to use the litter box. Immediately clean up any accidents so that you can remove ferret odor. Apply enzyme based pet odor and stain remover to wash the walls, floors, and carpeting which in turn eliminate the ferret odor. Use effective cage cleaner to clean and freshen the cage and litter box. In your ferret’s water, you can make use of a ferret waste odor eliminator which is made up of natural ingredients. It holds the capacity to naturally deodorize the urine, body odors and waste of the ferret. You can provide the shiny and healthy coat to your ferret by applying ferret odor eliminating shampoo which is made up of aloe vera and jojoba oil. To wipe out ferret odors, it makes use of micro-encapsulated enzymes. To enhance the color and appearance of the ferret coat, you can take up the mixture of conditioners, odor modifiers, neutralizers, and aloe vera in the form of ferret odor eliminating Coat Spritz. It will control the smells of your furry friend. The healthy ferret will cause less smelly tools. To enjoy sound health, you can provide lean meat to your ferrets. Avoid fruits, fat, grains and vegetables in high amount. On a regular basis, provide health check-up of your dear ferret by the professional vet. In case your ferret glands are infected, then consult a specialist who may recommend descending surgery to be a cosmetic procedure. In this informative piece of writing, you will come to know how to make ferrets not smell. The steps as mentioned above provide you the tips concerning in which manner you can get rid of ferret odor in your room. The steps are simple and easy to follow which will expertly help you in avoiding ferret smell. 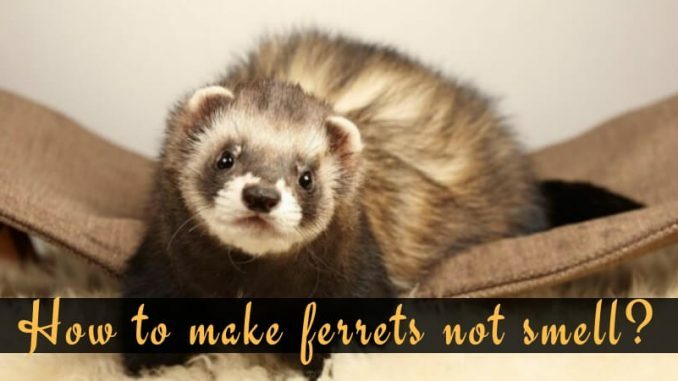 You can confidently bring ferrets at your home without worrying about the odor as the following tips stated in this article will remove the bad smell from the ferret’s body.